There was a change in weather patterns on 28th. July when we had a heavy summer thunder storm with hail and rain. I suspected that such a storm could cause run-off problems. Sure enough the next day a pollution incident with dead fish was reported at Clappers Bridge on the Bevern. 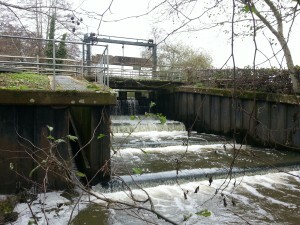 The Environment Agency acted promptly to restore the oxygen levels which had become very low. The flow had been very low before the thunder storm. There was some fish loss but this could have been worse if the EA had not acted so quickly. Thank you to the Agency Team for your action. I walked the main Ouse from the Mills for some distance down river and found no dead fish but the river did not look right. No doubt the slug of polluted water was passing through the main Ouse towards Lewes. It was by now diluted but it smelt heavy like sewage.